Howdy girls, today I’m back with the wonderful post that will definitely help you to get rid of all sorts of health and beauty problems. These two herbs are mostly available in your garden and farm lands. Brahmi is the creeping herb and jatamansi is a natural brain nervine tonic and memory booster. Jatamansi has roots that resemble the matted hair of a Himalayan sage- and an intoxicating aroma. Let see the wonderful benefits of brami and jatamansi. Brahmi is known for its various health and beauty benefits. Brahmi scientific name is bocopamonneri. Brahmi is mostly available in the market in the form of dry powder. Brahmi has rich nutrients such as herpistine, betulic acid, brahmine and flavonoids. Brahmi is particularly known as a memory booster. In tamilnadu we often make brahmi chutney for idly or dosa to develop brain power. Brahmi helps to improves skin complexion by its antioxidant properties. Brahmi helps to remove all toxins from your blood and stimulate cell regeneration. Regular intake of brahmi improves your hair texture and helps to get lon and strong hair. It helps to get rid of dandruff problems. Brahmi specially strengthens the hair root, promotes hair growth and add shine to your damaged, rough and dull hair. Brahmi helps to get rid of pimples and acne problems completely. It also removes excess oil secretion from your skin and keeps it pimple and acne free. Brahmi helps to relief ourself from stress. Regular intake of brahmi helps to make you healthy. Jatamansi has properties to give us calmness, relaxation and peacefulness. Jatamansi had been used from ancient Ayurveda and unani treatments. Jatamansi is also known as nardostachysjatamani in scientific representation. Jatamansi is a natural brain nervine tonic and memory booster. Jatamansi has roots that resemble the matted hair of a Himalayan sage- and an intoxicating aroma.The relaxing herb is known by different names like Jatamansi, spikenard, nard, nardin, muskroot, balchar, sumbul-ut-teeb, sambullateeb.Jatamansiis used to impart black colour to hair and prevents greying of hair. Its medicated oil with almond is highly useful for smooth and silky hair.Jatamansi is available in the market as an essential oil which helps to get rid of all fungal based problems on your scalp and also on your skin. The jatamansi oil helps to get stronger, silkier, shinier and longer hair growth. It improves hair complexion and leaves your hair soft and shiny. It is used as a natural hair dye. It will remove skin inflammation, burning and irritation problems by applying the paste of jatamansi powder mixed with cold water. 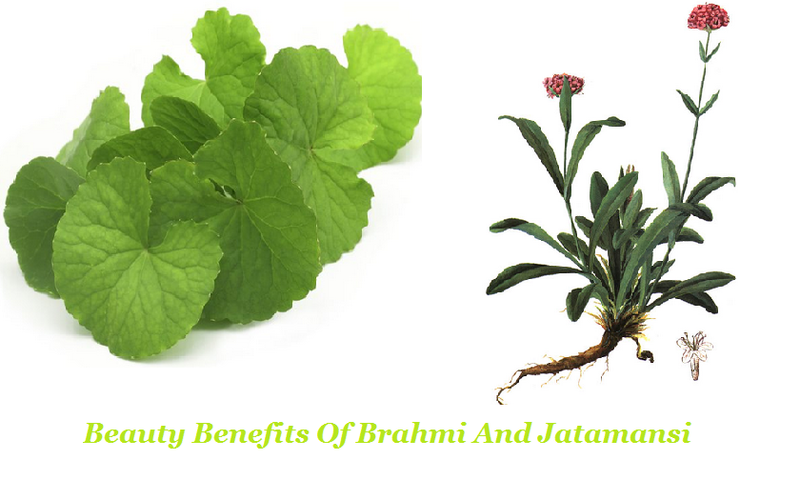 These are the some of the best benefits of brahmi and jatamansi. Please try to use these herbs in your day to day life to get more health benefits. If you have any doubt regarding this article feel r to ask us. We will be glad to hear your doubts and will rectify them for sure.